If you want to setup custom domain on blogger then this guide will help to setup your custom domain.You can use custom domain with any extension .in .com .org .net .us but my recommendation is to use TLD domain extension.Some TLD(Top Level Domain) extensions are .com .net .org If you use a country specific domain like .in your blog will target visitor from India only. You can buy your domain name on one of the best provider Godaddy or Bigrock. If you don't have any domain then I would suggest you buy a domain from Bigrock. If you already have a domain name then go forward to How To Setup Bigrock Custom Domain With Blogger. 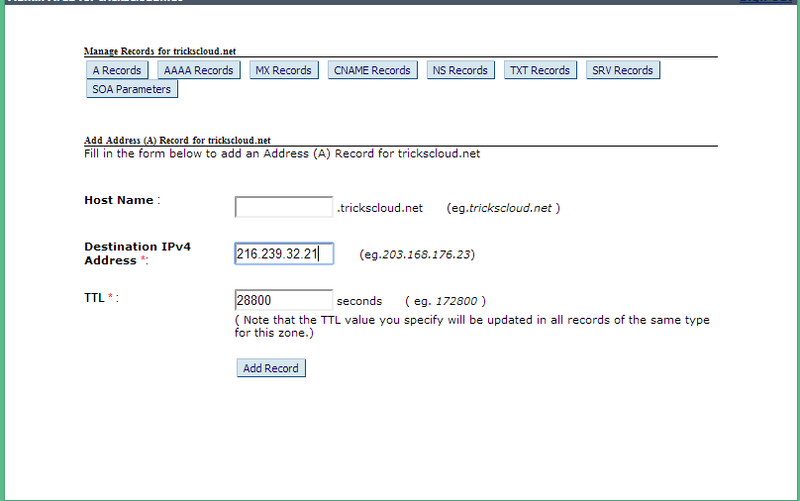 Step 4: After clicking on DNS Management it will open a new window in which you will be present on A Records. 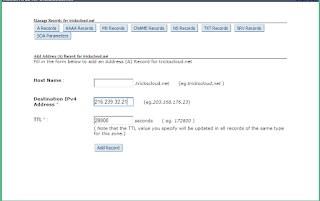 Step 5: Click on Add A Record in this keep Host Name blank and In Destination IPv4 Address enter 216.239.32.21 and do not make any changes in TTL then click on Add Record. then click on Set up a third-party URL.Now enter your domain name with www like www.yourdomain.com. and click on Save. Step 7: You will get an error with Two CNAME Record.Copy those Two CNAME Records. Now again go to Bigrock using Step 1 to Step 4. Step 8: Now click on CNAME Records tab then Enter www in Host Name and ghs.google.com in Value field then click on Add CNAME.Now First CNAME Record is added. 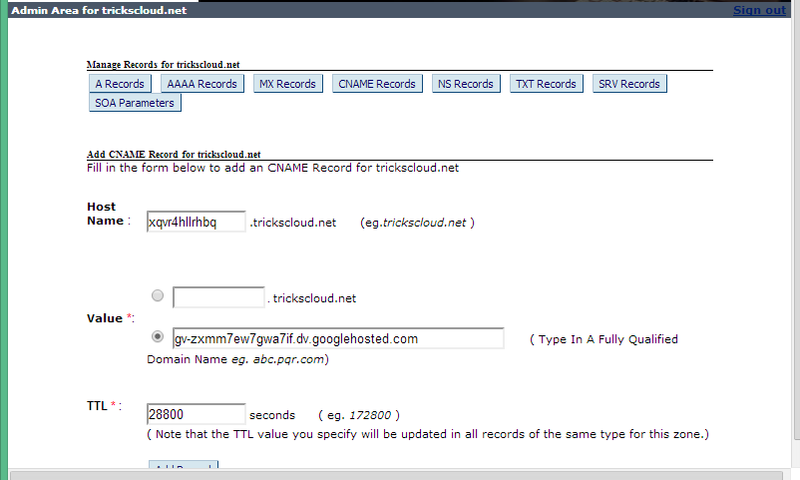 Step 9: Again Click on CNAME Record then paste Host Name and Value which you copied from blogger. after adding you it will look like below image. Step 10: Now again go to blogger using Step 6 and click on Save.It will be saved if you have followed before steps carefully. Now click on Edit Button as shown in image and tick mark in the box then Save it to Redirect yourdomain.com to www.yourdomain.com as shown in the below image. You have successfully setup your Bigrock custom domain with blogger.It can take up to 2 hours to reflect so be patient.If you have any question ask me on comment box.so now share this post using share buttons below.